Mika Hakkinen can't fault Sebastian Vettel for lashing out at Pirelli in the wake of the Belgian GP given the speed of the track. Vettel had been running in third place with two laps to go in the Belgian Grand Prix when his right-rear tyre let go. He finished the race in the pits, classified as P12, and slammed Pirelli for their "unacceptable" tyre failures. During this rant, the Ferrari driver stated that "if this happened earlier then I'm f****d."
One person who understands where Vettel is coming from is double World Champion Hakkinen. 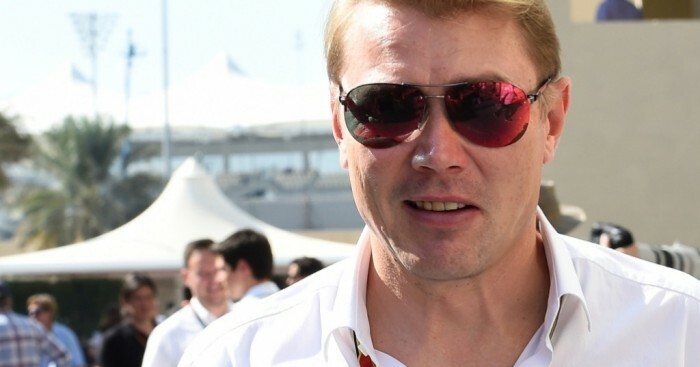 "I can understand that a driver in such a situation would react rather aggressively – particularly at Spa where speeds are very high and a puncture is always dangerous," Hakkinen said in his latest Hermes blog. "I remember how after Eau Rouge, when I tested a McLaren in 1997, I suddenly had a suspension failure on the car on Kemmel Straight. At speed of about 330 kph. "When that happens at such pace, you don't forget that so fast. "80 percent of the performance of a driver is his mental strength. If this is scratched then the self-confidence falters and it has an effect on the lap times."